In my last blog entry, we looked at Muskingum University’s PLUS Program, one of the two oldest programs supporting students with learning differences in Ohio and easily the largest. Their resources are substantial and their approach is time tested and effective. This week, we will turn our attention to a unique and specialized program solely serving the needs of college students on the autism spectrum (ASD). As the number of children diagnosed with ASD increases, the need is greater than ever to provide for avenues of success into adulthood. Higher education can be an appropriate step for college age students with ASD who are academically able to succeed but may require social and living support to navigate the traditional college residential campus. Nationally, there are very few college programs specializing in providing learning support services to students with ASD. 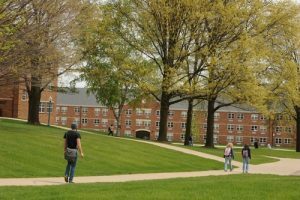 Defiance College’s “ASD Affinity Program” was modeled after a similar program at Marshall University in West Virginia. The ASD Affinity program was launched in 2014 and builds on Defiance’s success with its Hench Autism Studies Program, which began in 2007. While ASD Affinity Program is small, they celebrated the graduation of their first 4 students last spring. 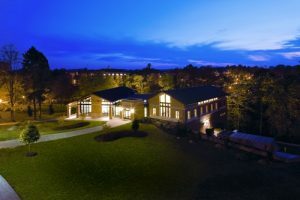 Students accepted into the program receive campus housing with live-in staff support and supervision by trained individuals, peer mentoring, course tutoring by trained tutors, and co-curricular opportunities. Students work with faculty advisors within their area of study and schedule regular meetings with trained staff members. ASD Affinity Program students have a private room but share an open area with another student (suite-style). The ASD Affinity Program is directed by Dr. Clarissa Barnes, the director of Defiance’s Hench Autism Studies Program and an assistant professor of special education at Defiance College. 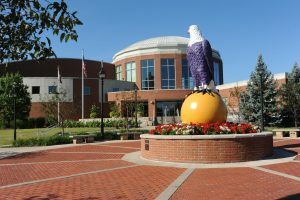 *Please note: Consideration for admission to the ASD Affinity Program also requires completion of the separate Defiance College Application for Undergraduate Admission. Application details are available online. The ASD Affinity Program is the only college learning support program in Ohio focusing solely on students with ASD. While still small and in its early years of development, it has been modeled after the recognized and successful program housed in Marshall University’s Autism Training Center. Next week we will look at the last of our programs supporting college students with learning differences. This one is located at a small college in the northern part of our state and enjoys an impressive record of success. You will want to join us for that one! 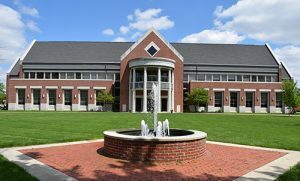 Launched in 1983 (only one year after the University of Mount Saint Joseph’s Project EXCEL), Muskingum University’s PLUS Program has become nationally known and recognized.The PLUS Programis a comprehensive academic support service for college students with learning differences (ADD, ADHD, & Specialized Learning Disabilities such as dyslexia, etc.). Designed to empower, not rescue, the PLUS Program is staffed by an Executive Director, administrative personnel, and a full complement of adult learning consultants (10-12), learning associates, mentors, and auxiliary tutors. All professional Learning Consultants, Learning Associates and Mentors have Bachelor or Master’s degrees. Students in the PLUS Program are supported outside of class in their state-of-the-art facility while attending classes with everyone else. Through “Embedded Learning Strategy” instruction, students are provided instruction in learning strategies that are embedded in course content. This instruction builds upon the strengths of each student while addressing levels of comprehension and mental organization that are often difficult for students with learning differences.Three levels of service are offered and additional fees are charged depending on the level of service. Many students begin at Muskingum utilizing “Full” services, but later migrate to the “Maintenance” or “Essential” levels of service as they gain confidence and skill. The “Maintenance” level offers the same services as the “Full” level, however with less frequent specialized course learning strategy instruction. Currently the PLUS Program serves approximately 180 Muskingum students (out of approximately 1400 full-time undergraduate students). This makes it the largest program of its type in Ohio. It should be noted that University admission requirements are the same for all students and the Non-PLUS student population has no knowledge or care as to who is a PLUS student. Students may apply to Muskingum University and the PLUS Program after completing the junior year of high school, or they may transfer from other postsecondary programs. Qualified students may apply for PLUS Program services either when applying for admission to the University or following their enrollment. Each applicant is evaluated by a committee for his/her potential to complete degree requirements.Space in the PLUS Program is limited, and students are encouraged to apply early.Students should have a strong college preparatory secondary school curriculum as course and graduation requirements are not compromised for PLUS students.Based on careful evaluation of admission materials and documentation, applicants are invited to the campus for a personal interview with a member of the PLUS Program staff. At this time they can also talk with the Admission staff, members of the faculty, and other students. The PLUS Program is one of the two oldest programs in Ohio supporting students with learning differences and easily the largest. Their resources are substantial and their approach is time tested and effective. Next week we will take a look at a unique program specializing in providing learning/living support for students with spectrum disorder. Don’t miss it. In my last blog entry, we examined Bowling Green State University’s “FLY Program,” a fee-based academic coaching program designed to help students with learning differences who need an additional level of academic and out-of-class support. 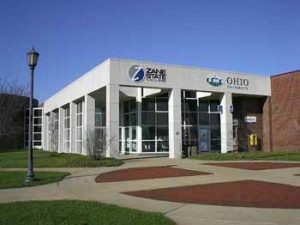 In today’s blog, we will look at our third of five special learning support programs now offered at Ohio colleges – and this one is really impressive. 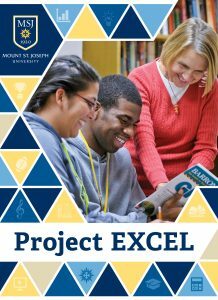 Mount Saint Joseph University’s Project EXCEL is perhaps the oldest program of its type in the state and we were more than impressed with our visit. They serve students with learning differences including those with ADD, ADHD, and spectrum disorders. They also support students with accompanying mental health challenges such as anxiety or depression. Formed in 1982 this unique, large, and successful program has stood the test of time, serving students for 37 years. Project EXCEL employs 17 professional tutors and all have been with the program for over 10 years. Each tutor focuses in areas in which they have expertise and they have access to all college course syllabi. Additionally, the tutors have access to course software supporting their student’s college courses so they can remain aware of progress and assignment completion. All tutors have earned at least a bachelor’s degree with many holding graduate degrees. The current director has been there since 1983. Current enrollment is 65 students and the program boasts a consistent 77% 6-year graduation rate – wow! Enrolled students begin the program with a formal class taught by the Project EXCEL director. In the class they focus on time management, study skills, and how to best utilize the resources of the program. Project EXCEL is located in a large suite of offices and seems to operate more like a family than a structured service. They even offer students activities such as game night with pizza, Bingo, Halloween party, “Bread Day,” and other activities. Coordination with other university services including disability services (accommodations), career services, and counseling services. Pre-academic advising and advising coordination to ensure that students remain aware of their progress and make appropriate scheduling, course, and instructor selection choices. Representation for the student with the university “Care Committee” that works to ensure that students are connected to needed resources, programs, and activities. Similar to other similar programs, Project EXCEL is a fee-based optional offering and costs an additional $1,800 per semester, which covers only 50% of actual costs. Students apply for admission to Project EXCEL after achieving admission to the University. Most student applicants are accepted but must provide documentation related to their high school performance, a letter of recommendation, application form, ETR, and an interview. Admitted students often have a primary diagnosis of a learning disability, ADD, ADHD, cochlear implant, or spectrum disorder. The ideal candidate is motivated to take advantage of academic support, has performed academically in the past, and can self-advocate. Project EXCEL is impressive and should be investigated by families interested in identifying resources to support their student with learning differences. Next week we will look at one another of the oldest and most established of these unique academic support programs. Don’t miss it. BGSU’s FLY Program is only a few years old, but has grown rapidly. It assists students with learning differences and attention challenges while providing a supportive and structured academic environment. Students in the FLY Program work with a Learning Specialist one-on-one. The Learning Specialist provides academic coaching, accountability, and triage. The Learning Specialist may connect the student with other university services that he or she might need such as counseling or disability services. They additionally help students stay aware of grades, manage assignments, and exercise time management. They also coach students on how to activate accommodations as needed. The program is housed in the “Learning Commons” located in the University Library. Similar to Ohio Wesleyan University’s Bishop ACCESS Program, the FLY Program is a fee-based optional offering and costs an additional $2,500 per semester. The program is currently working to design a “Level 2” option that would provide less services and cost around $1,200 per semester. Enrollment is currently 57 students and the FLY Program is excited to graduate its first class in 2020! 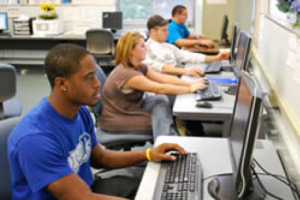 Students apply for admission to the FLY Program after achieving admission to the University and providing documentation (such as IPE and ETR) to the Disability Services Office. Admitted students often have a primary diagnosis of a learning disability, attention deficit disorder, or autism spectrum disorder. The ideal candidate is motivated to take advantage of academic support, has performed academically in the past, and can self-advocate. The program is not designed to support social skill development. The FLY Program is impressive and should be investigated by families interested in identifying resources to support their student with learning differences. Next week we will look at one of the oldest and most established of our unique academic support programs. Don’t miss it. Parents of college students with learning differences such as ADD, ADHD, or even light autism often find the traditional set of learning support offerings at most colleges to be insufficient to respond to their son or daughter’s needs. That is no longer the case in Ohio. Enter six unique, fee-based learning support programs that you should know about. My next six blog entries will help you better understand your options! Let’s start with the newest offering in Ohio. Ohio Wesleyan University’s “Bishop ACCESS Program” is a fee-based academic coaching program to help students who need an additional level of academic and out-of-class support. An assigned Academic Coach works one-on-one and in small groups with students to help them navigate university life, enhance study skills, and complete school work that requires planning, goal-setting, and managing time. Sessions begin the first week of classes and continue through the last day of classes for a total of 15 weeks a term. 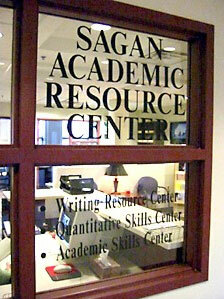 The program is housed in the Sagan Academic Resource Center. Bishop ACCESS is open to students with a primary diagnosis of a learning disability, attention deficit disorder, or autism spectrum disorder who wish to enhance executive functioning skills. a diagnosis of learning disability, attention deficit disorder, or learning difficulties. The fee for this program is $2,000 per semester. Students may enroll in the program for the fall semester or both fall and spring semesters. A fee reduction may be available based on demonstrated financial need. During each of the two prior Halloween seasons I have featured a ghost story from Ohio Dominican University. I have appreciated the many e-mail comments I have received regarding these stories and thought I would offer one final reprisal this year. If you have not read the two prior stories, I encourage you to peruse the archives and check them out. ODU is a small Catholic (Dominican) comprehensive university located in Columbus. Today, they offer not only a top-notch education, but a rich history including a few stories of things that go bump in the night. According to legend the spirits at ODU are thought to have been prior Dominican Sisters and faculty at the college. 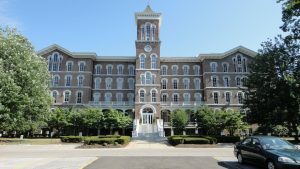 This story was described by a Dominican Sister Mary Michael and took place in the first “Motherhouse,” which was constructed in 1875. 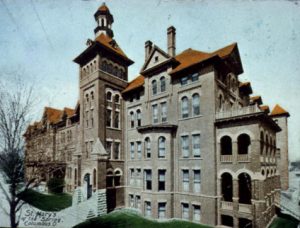 It was later attached to the west side of the college’s dining hall until it (the Motherhouse) was torn down in 1970 (see the picture above). 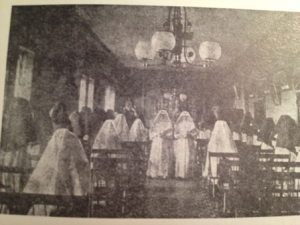 The Motherhouse was the centerpiece of living and activity for the Sisters of Saint Many of the Springs at the time. The story takes place in the summer of 1947 in “Our Lady’s Dorm,” as it was called then. The room was a large dormitory, subdivided by curtains into individual spaces for each sister. Each space contained a bed, washstand, and a chair. The Sister’s space was west of a double door that provided entry into the dormitory area. On this particular evening there were only two sisters in the dormitory. All the sisters had heard rumors of ghosts in the building and while Sister Mary had heard these stories, she had never encountered anything herself. At some time during the night Sister Mary awoke feeling very cold. She thought about getting a cloak as a cover, but then heard footsteps of someone walking the east-west corridor. This was unusual as rules prohibited walking around at night and enforced silence in the area. The pacing started at around 3:00 AM and continued until the corridor had been paced in its entire length a total of 20-30 times. Sister Mary was too scared to look out. Finally, the pacing stopped at the end of the interior hall away from the entry and near a closet. Finally, after waiting awhile and gaining courage, Sister Mary Michael rose and fled the room. 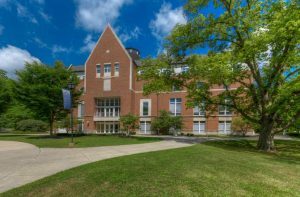 Upon reflection, Sister Mary recalled that our Lady’s Dorm had been the Motherhouse chapel before the new chapel had been built. The closet had originally been a confessional in the old chapel. Sister Mary Michael wondered if perhaps the footsteps belonged to the spirit of a Sister who felt the need for penitence and sought it in a familiar place. Some college ghost stories emerge out of fictional accounts, but others are born out of real campus tragedies. This story is one of the latter. Around 9:41 pm on October 28, 1905, a freshman, Stuart Lathrop Pierson, was struck by an unannounced train traveling next to the Kokosing River adjacent to the Kenyon College campus. He was killed instantly. Pierson, a Delta Kappa Epsilon pledge, was participating in a fraternity initiation at the time. 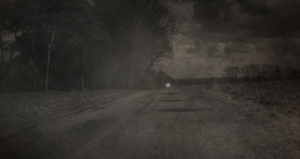 Some contend that he had been bound to the tracks and blindfolded, however authorities later concluded that he had been directed to the railroad bridge by his fraternity brothers and asked to stay there until retrieved. Members claimed that the experience was intended as an opportunity for him to contemplate his impending membership. 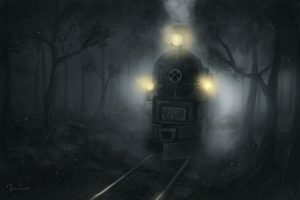 Unfortunately, the surprise of an unexpected oncoming train in the darkness caused Pearson to stumble into harm’s way. Pierson’s death launched a dark and challenging chapter in the history of Kenyon College. Administrators point out that over time the college recovered and was able to put this tragedy behind them, however many students believe Pierson is still hoping to complete his initiation. If you visit Kenyon College today, you will find that the railroad bridge where Pierson was struck and killed has been transformed into a bike trail. The tracks were long ago covered over with asphalt. Each year the DKEs mark the anniversary of Pierson’s death with a ceremony. Reportedly, they carry a coffin filled with stones down Middle Path and gather at the fateful trestle bridge where fraternity officers read the coroner’s report by torchlight. In recent years they also read passages aloud from Fred Kluge’s Alma Mater. The ceremony ends with the burning of a wooden DKE sign, which they extinguish in the river, leaving its ashes behind on the bike trail covering the old train tracks. Some say that on those evenings, as they hike back to campus, they still hear the whistle of a train in the distance. But that’s not all – residents of Old Kenyon residence hall claim Pierson can still be seen staring out the window on the fourth floor. Doors open and close and footsteps are heard coming from empty rooms. So, if you ever visit Kenyon college around Halloween, be sure to enjoy the changing leaves and beautiful campus. As the sun sets listen carefully and you might hear the sound of a mournful train whistle passing over a nearby bridge. Then, as you walk by Old Kenyon, the oldest residence hall in Ohio, glance over your shoulder and check out the fourth-floor window. The spirit of a former Kenyon student may grace you with his presence. Check out our most recent newsletter and sign-up for future issues! If you ask students at Miami University about the “Oxford Light” or the “Phantom Motorcyclist” expect to get an earful. The legend has been around since the 40’s and continues to enthrall students to this day. The story involves a farmer, his daughter, and her boyfriend. While there are several versions of the story, all have a bit of a “Romeo and Juliet” feel to them. You see, the farmer’s daughter was in love with her boyfriend, who was considered a bit of a rebel. He rode a loud motorcycle, was not fond of authority, and generally didn’t engender affection from any in the community save his girlfriend. In fact, the farmer did what he could to discourage the romance. The result was that the boyfriend was forced to visit his girlfriend late at night and early in the morning while others slept. Legend has it that the father discovered the late-night romance and tried to put a stop to it. The couple, determined to continue to see each other, set up a secret signal. She was to flash the porch light three times to signal her boyfriend that it is safe for him to come by and pick her up. Finally one evening the boyfriend, determined to finally propose, awaited her signal. Upon seeing the porchlight flash three times, he got on his motorcycle and sped down the road toward her house. Unfortunately, on the way, he lost control of his bike, careened into a barbwire fence and was decapitated. I’m sure you guessed it – that’s not the end of the story. It seems that death did not deter the cyclist and that today, he is still trying to reach his girlfriend’s house and pop the question. So, if you are visiting Oxford this time of year consider travelling past Millet Hall and Yager Stadium, out past the University property, past Beta Headquarters on the left, and up to the first four-way stop. The girlfriend’s old Earhart Road home is just around the corner. Park your car, flash your lights three times, and wait to see the Oxford Light in the distance. Happy Halloween.